Fabio Turone was selected among the ten Research Fellows of the Knight Science Journalism Program at the Massachusetts Institute of Technology in Cambridge/Boston, where he will spend the 2016-2017 academic year auditing classes at the MIT and the University of Harvard. 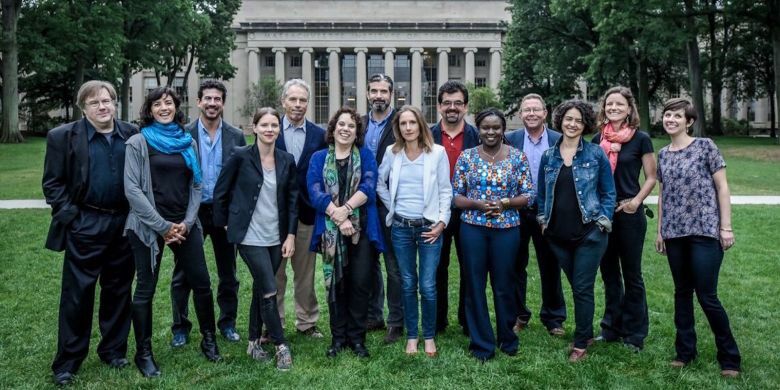 The 2016-2017 Fellows of the Knight Science Journalism Program @ the Massachusetts Institute of Technology posing in front of the main building in Cambridge. Fabio Turone è stato selezionato tra i 10 research fellows (sei americani e quattro provenienti dal resto del mondo: quest’anno Francia, Messico e Kenya) del prestigioso Knight Science Journalism Program al Massachusetts Institute of Technology di Cambridge/Boston, dove trascorrerà l’anno accademico 2016-2017 avendo l’opportunità di seguire corsi presso il Massachusetts Institute of Technology, l’Università di Harvard o una delle altre numerose istituzioni accademiche della Greater Boston area.